Laminata Group forms the value-added brand of Mt Pokaka Timber Products Ltd. We offer high quality MiniCLT construction systems with outdoor solutions including fences, gates and sheds. Housing solutions are in development. Visit our website www.laminata.nz to learn more. Motueka Pickets® are manufactured by MLC Group (previously known as Motueka Lumber Company Ltd) situated at the top of the South Island in New Zealand. MLC Group have been manufacturing and selling Motueka Pickets® for over 25 years. Since 1982 Motueka Pickets® have been produced in the world renown Tasman Bay region of New Zealand and exported mainly to Australia and New Zealand. Produced from New Zealand Radiata pine, long renowned for its stability, durability and sustainability, each Motueka Picket® is guaranteed to satisfy your fencing needs of property enhancement, security and privacy. 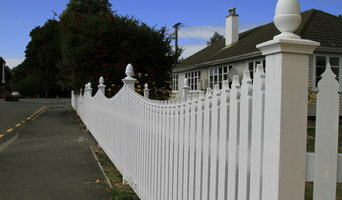 The superiority of a Motueka Pickets® fence over traditional wooden fencing methods ensures your properties value is enhanced in a timeless manner that only Motueka Pickets® provide. Options abound with various profiles, from the popular Gothic style to the more sedate and simple Round or Square top. Complete range of profiles are; Gothic Pickets, Colonial Pickets, Windsor Pickets, Saxon Pickets, Acorn Pickets, Round Pickets and Blank Pickets. All in treated pine. Motueka Pickets® are distributed around Australia, New Zealand and the Philippines. Including cities such as Auckland, Wellington, Christchurch, Melbourne, Perth, Sydney and more... CCA H3.2 treatment provides peace of mind with a 50 year guarantee. ACQ and LOSP options are available for those who prefer. 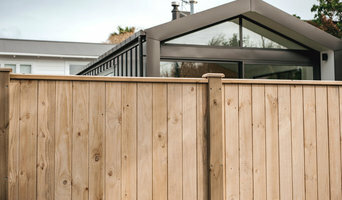 Treated pine Motueka Pickets®, the fence of choice. Custom Trellis and Fencing Panels. Pergola and Gazebo design and build to your specifications. Custom outdoor furniture. Kit set wooden sheds. Fence and Trellis repair and upgrades. Straight Line Fencing provides you with the best quality fences and Decks to elevate your outdoor space to the next level. Welcome to Brustics. We have been specialising in natural solutions for privacy, fencing, shelter, shade and landscaping for over 20 years. 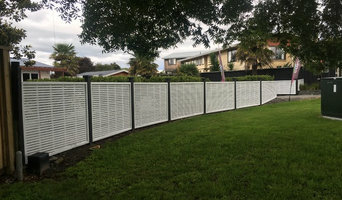 Heritage Gates & Fences is the only company in New Zealand that manufactures, imports, installs and offers the complete package of timber, aluminium and galvanised steel gates, fencing and access solutions for residential and commercial properties nationwide. Family owned and operated, the business started manufacturing timber gates and fence systems using traditional manufacturing methods in the early to mid 1990's from fine New Zealand timbers along with other species from around the world. In 2009 Heritage expanded by manufacturing aluminium gates and fences creating more options for privacy and decorative applications. During 2012 with both aluminium and timber gates now the main stay of the company Heritage saw the opening for a range of high quality automatic gate openers which they sourced from RIB Industries in Italy and the procurement of CLD Fencing NZ LTD a company specialising in the welded mesh security fencing imported from Europe. We offer a complete solution from free on-site consultation to installation and after care service. This includes everything from gates and fencing to Italian imported Automation and Access Solutions (Intercoms etc). We are proudly New Zealand based and manufacture and distribute right across the country. We can make any design in pedestrian, single swing, double swing, single & double sliding gate applications as well as bifolding, bisliding and cantilever options available too. 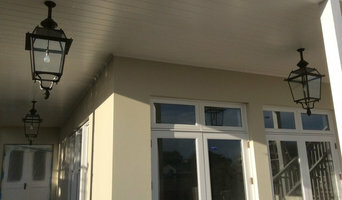 We can replicate any of our timber designs in aluminium which provides a more affordable option than painted timber. Plus the benefits of aluminium mean low maintenance, lightweight and available in any colour. Grand Glass & Hardware Ltd offers best quality glass balustrade at affordable prices in Auckland and near by areas. Visit Grandglass.co.nz and check out latest and exclusive range of glass showers, mirrors, balustrade etc. Some fence and gate styles will never lose their appeal – think vertical wrought iron fencing – but homeowners are neither shying away from innovative designs using corten panels, off-form concrete and timber, just to name a few of the materials available. 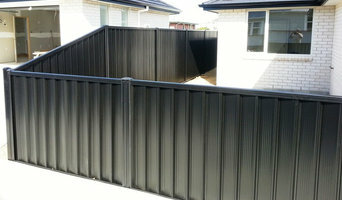 Colorbond fencing, in particular, is currently very popular due to its ability to complement most styles of homes. Whether you need simple aluminium fencing to wrap around your pool or security gates at the entrance of your front yard, there’s a professional on Houzz who can help you select and install something that best suits your needs. They can help you select and install a gate or fence, as well as make any repairs in the future. Whether you seek privacy, noise reduction, safety or security, your fencing and gate contractor will work with you to determine the right materials to use, to ensure it complements the grade of your block, and is suitable to your climate and the type of soil you have. If you live close to the ocean, for example, you will need to be vigilant with the type of materials you use, as salty air can cause erosion to unprotected metals. Fencing and gate contractors will also advise on the height of your structure, to ensure it adheres to local building regulations, and if you need council approval, can help you through the process. The job of pool fencing contractors differs slightly in that there are special regulations governing the size, materials and installation of pool fences. Your contractor should have a thorough knowledge of considerations such as these. Here are some related professionals and vendors to complement the work of fencing & gates: Blacksmiths & Welders, Decking & Patios, Cladding & Exteriors, Landscape Contractors & Gardeners, Landscape Architects & Landscape Designers. Find a fencing and gate contractor on Houzz. Scroll through this page to find professionals in your area that can design, supply and install pool fencing, driveway gates, garden fencing and more. You can browse their portfolio, read reviews and see how other homeowners rate their service, expertise and product.